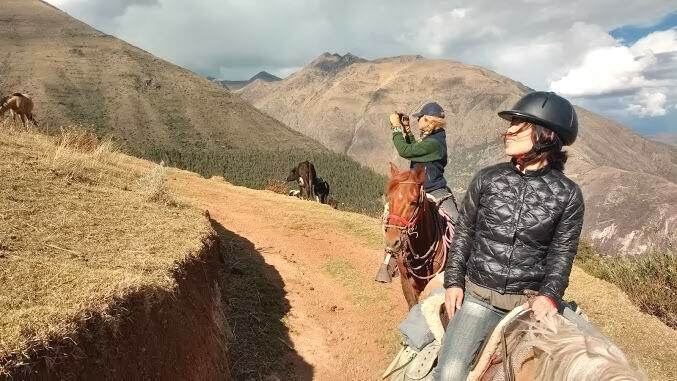 VALLEY VIEW POINT - "HACIENDA DEL CHALAN" Horseback Riding - Tour Operator - Cusco, PERU. Peruvian Paso Horse. ADVICED FOR: Beginners and intermediate riders. 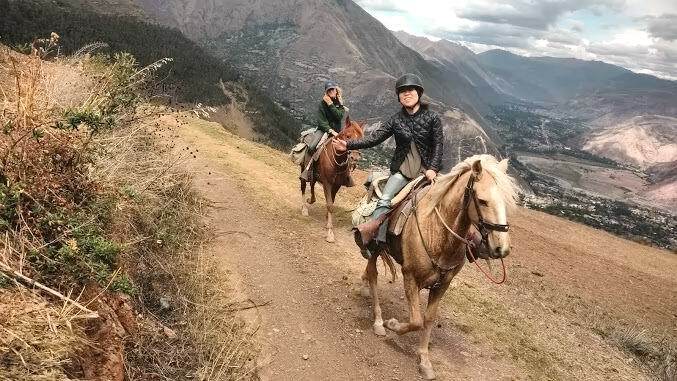 09:00 After to begin our ride adventure at Hacienda del Chalán, we will cross a wooden bridge on top of Vilcanota River, following the river side path will be pissible to observe one of the largest Inka cementeries of the Sacred Valley. We will visit an old pre Inka village “Pichingoto” where will be possibel to watch some caves that were used by this small trive to live there. Were the Pichingotos who accidentally discovered a solty spring wather and they were who began to process that salt for fort time. Many years later, this trive were conquest by the Inka culture and were in Inkas who really expanded this complex untill have more tan 3000 pans of salt. There are many different birds living along this river, like ducks, seagless, cormorán, black Ivis and others. 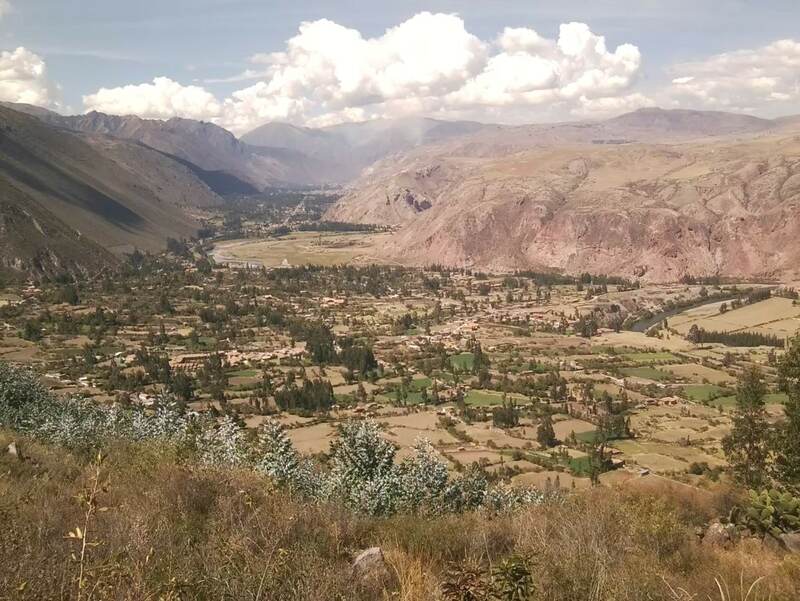 Yanahuara is one of the most importat towns of this part of the valley, and will cross it just before to climb to our goal “Puma Orqo” view point. On the way is posible to see some terraces and storage bulding from the Inka times. 13:00 Arrival time to the view point. This is one of the best places to enjoy of the surroundin views, many small towns, the Vilcanota river and great part of the Sacred Valley. 14:00 Down hill ride to the valley. 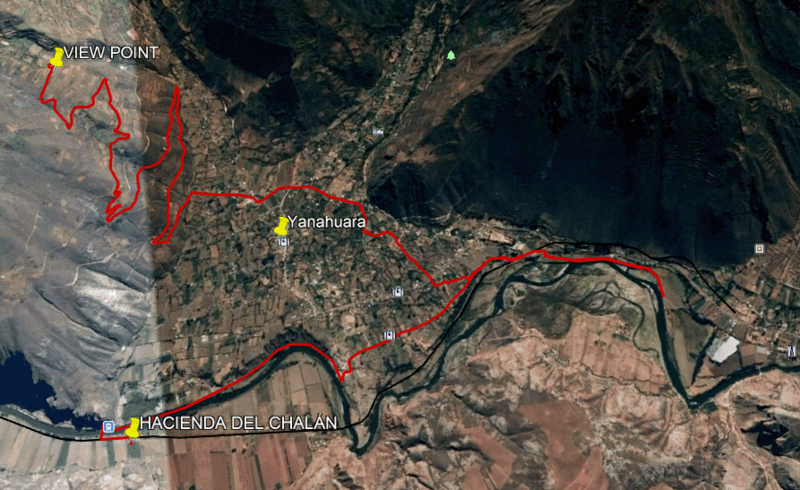 16:00 Arrival time to Hacienda del Chalán. Rain jacket (December – April).